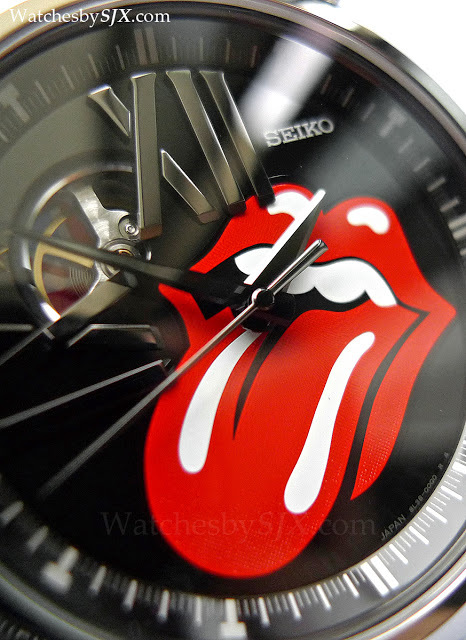 Along with the Seiko Stars Wars limited editions, the Rolling Stones is Seiko’s nod to pop culture for 2012. 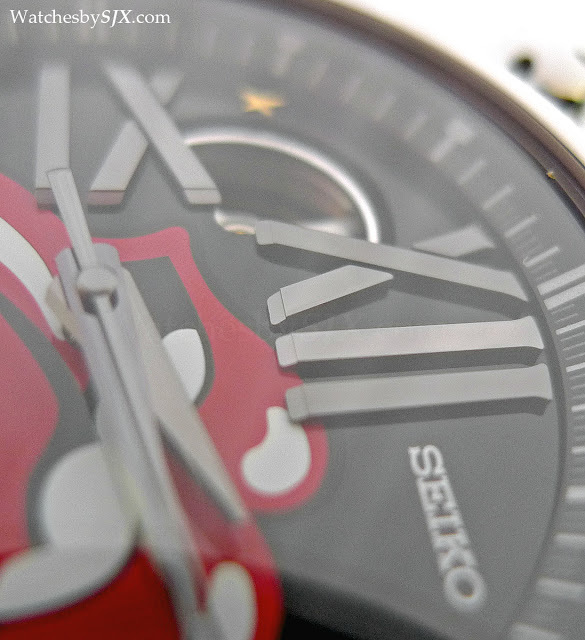 Seiko chose the Galante case, which at 45 mm is the largest and most striking watch case the company makes. Combine that size with the dial, and you have an extremely memorably watch. The black dial is lacquered deep black and glossy. 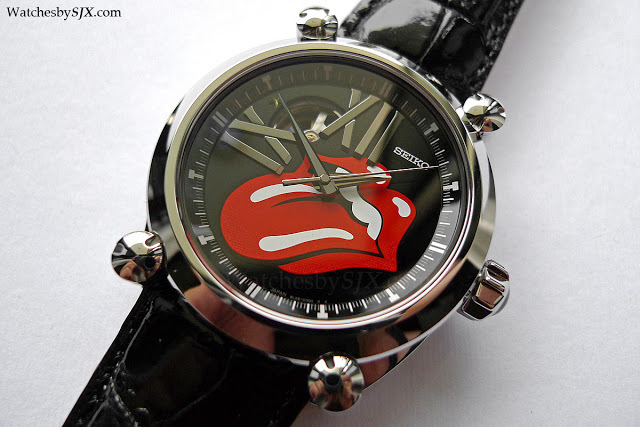 It is dominated by the red tongue logo of the Rolling Stones. That logo is so striking it’s visible from several feet away. Both the hands and Roman numeral indices (IX and XII) are in a grey, gunmetal type finish. And at the 50 minute mark there is a small gold star to signify the group’s 50th anniversary. 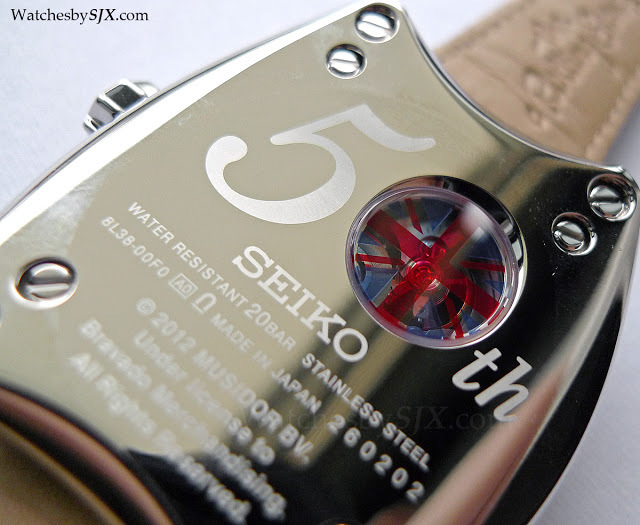 Over on the band there is a Union Jack printed on the porthole that reveals the balance wheel. Inside beats the cal. 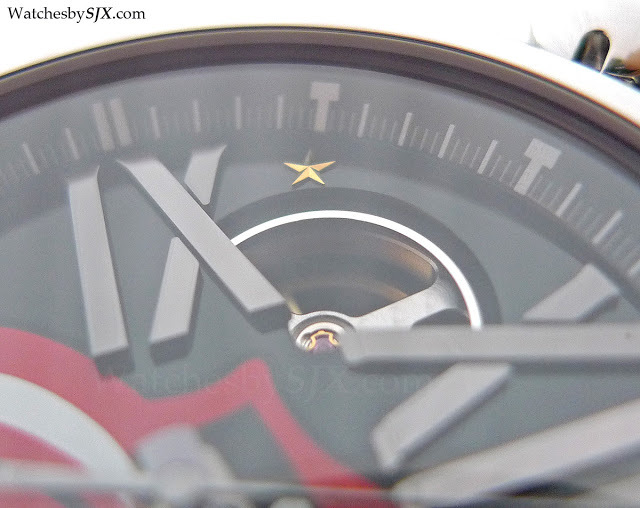 8L38 automatic, which are similar to the Grand Seiko movements but with less decoration and chronometric features. With four pillars that are the signature style of the Galante line, the steel case is entirely polished. Although I am not a fan of the Galante case, the case quality is superb. Everything is beautifully made and finished. The crown screws down with a reassuringly smooth and solid feel. Likewise the dial is of top quality. The colour is a rich, smooth black. And the hands as well as the indices are diamond cut just like those of Grand Seiko watches, resulting in precise and sharp edges. 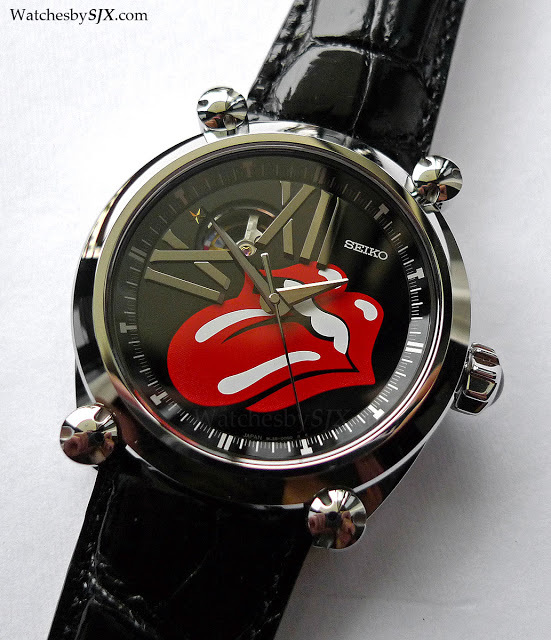 This watch grows on you. The retail price incidentally is JPY575,500 with 5% Japanese consumption tax, which is about USD7350.